Blazers have never really been my thing. I tried them when I was younger but I guess I always felt too young, like the style was too rigid and mature for me back then. But in the past few months, they’ve slowly worked their way back into my wardrobe. 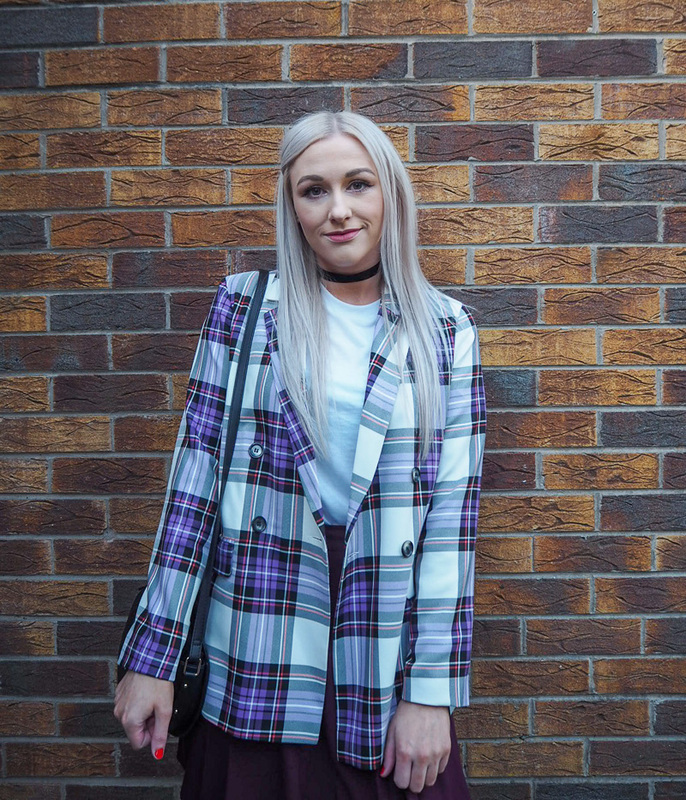 It started for work, having a blazer to throw on over a dress was a great way to smarten up the look and make it more formal, plus having that added layer kept me warm throughout the cold autumn and winter. Since then blazers have become somewhat of a hero piece for me. And not just for work, I find myself reaching for them more and more for my everyday outfits as well. I can’t quite explain the feeling I get when I slip a blazer on, other than saying it gives me confidence. I think it’s that typical idea of the suit and the power that can often represent. I for one can in no way pull off a full suit, but a blazer is such an easy piece to have, you can add it to any outfit and it just adds that formal touch. They can look just as amazing with a pair of cigarette trousers and shirt, a colourful dress, or a simple plain tee and blue jeans. They’ve become so popular that at the moment there is absolutely no shortage of choices when it comes to blazers. 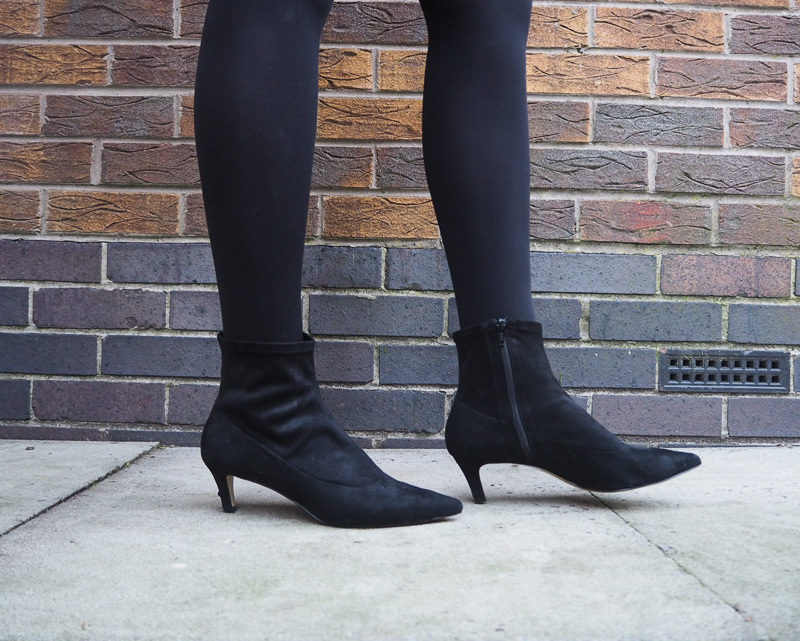 There are all different colours, shapes, fits and prints on offer so there is truly a style that can suit everyone. 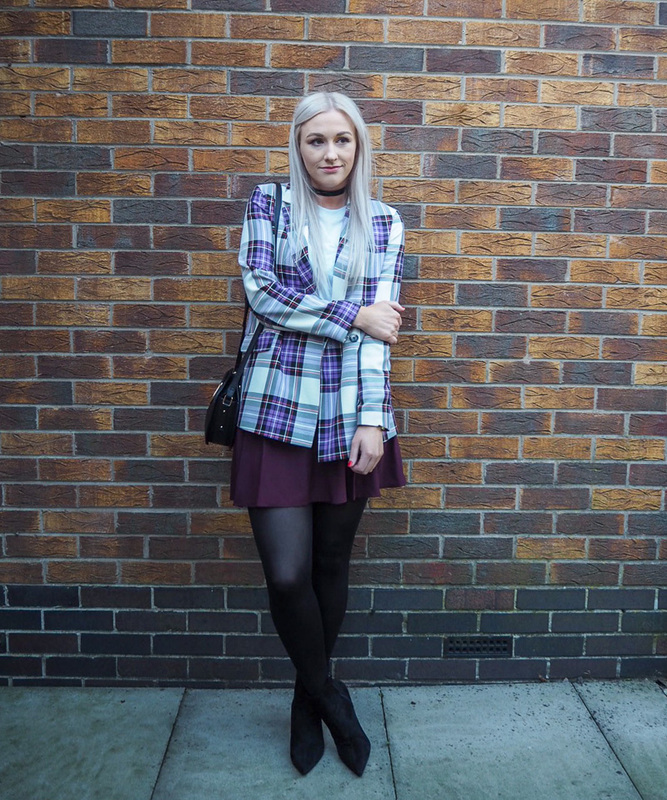 I personally like a longline style in a classic check print. 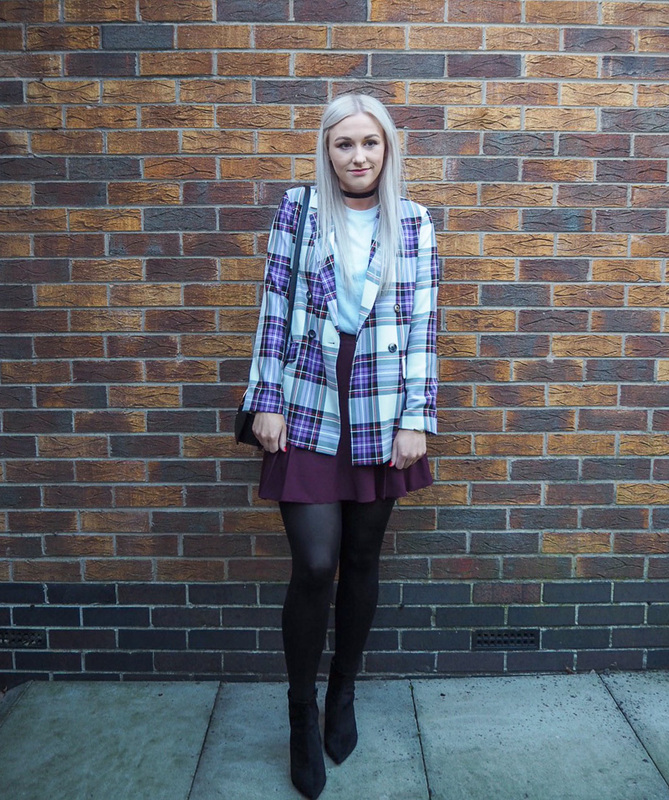 Enter this tartan blazer of dreams from Topshop. 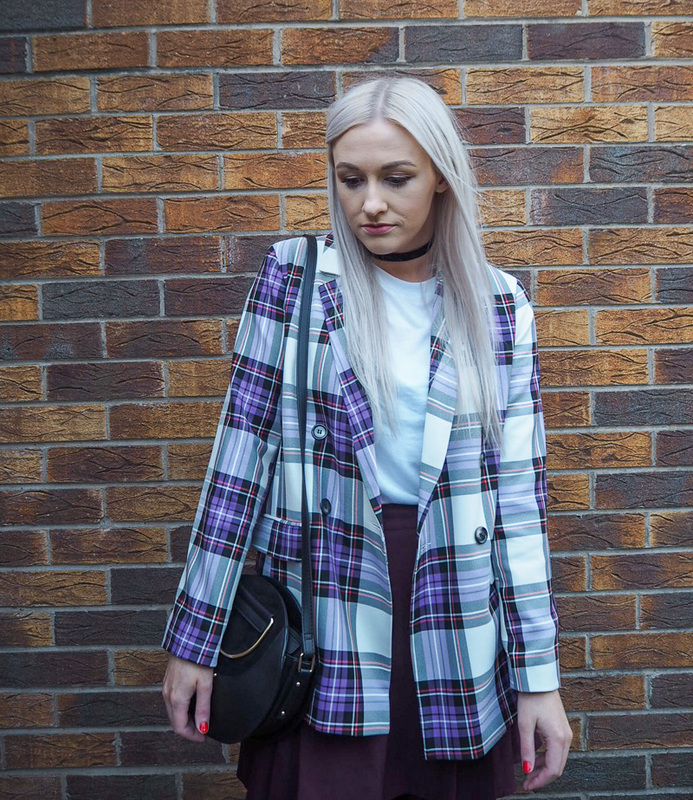 It’s a completely different take on your typical checked blazer, in a gorgeous purple and white colourway. 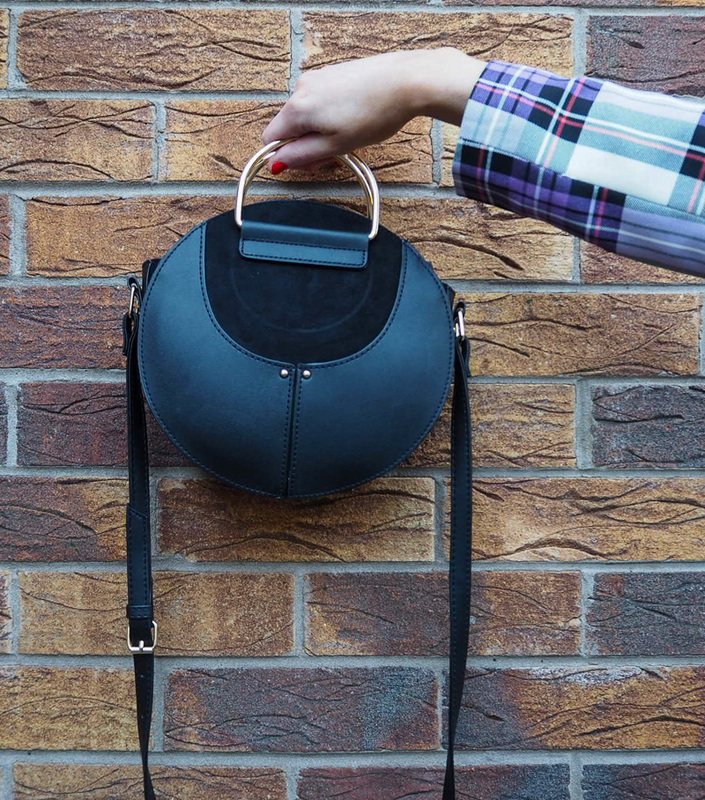 It screamed Clueless the minute I saw it and I knew I needed it (one of my favourite movies ever, by the way!). It was actually quite a brave choice for me considering I’m still relatively new to the blazer thing, but I’m all about taking risks when it comes to fashion. I’ve opted to wear it on the days I feel like my confidence is lacking and I need a bit of a boost, and it’s always delivered. Now we’re approaching spring, I think they’re a great choice to wear as a jacket as well, because let’s face it it’s rare you don’t need some form of outerwear here in the UK.